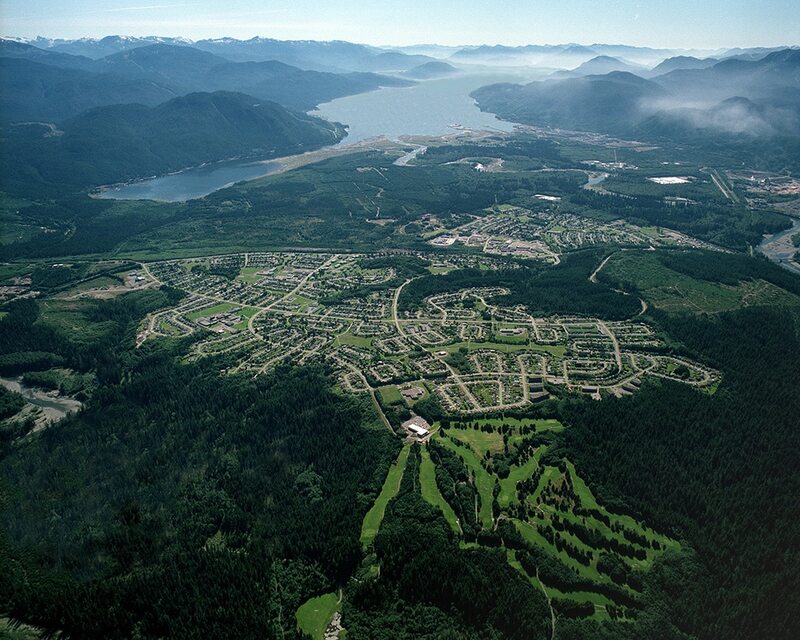 VANCOUVER—Canadian mines could help power the transition to clean energy, sparking new economic development in the process, a new report from Clean Energy Canada finds. 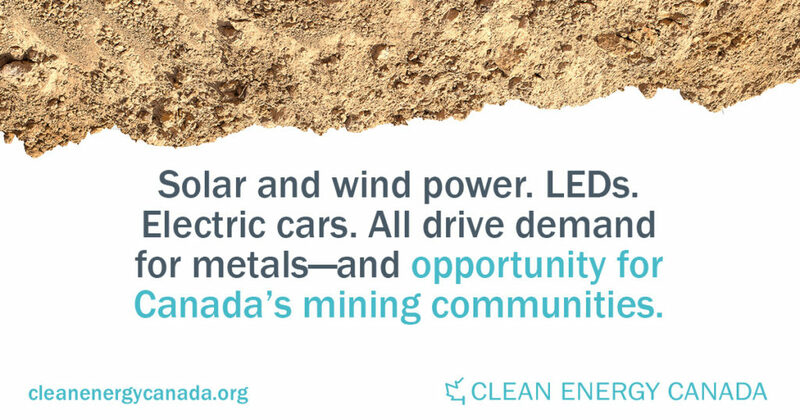 Growth in clean energy is driving significant demand for the metals and mineral products used to manufacture technologies like solar panels, wind turbines, LED lighting and electric cars, creating an opportunity for job creation and economic growth in mining communities across Canada. Mining for Clean Energy, which focuses on the metal and mineral requirements for solar power, finds that Canada could emerge as a key supplier of these resources. 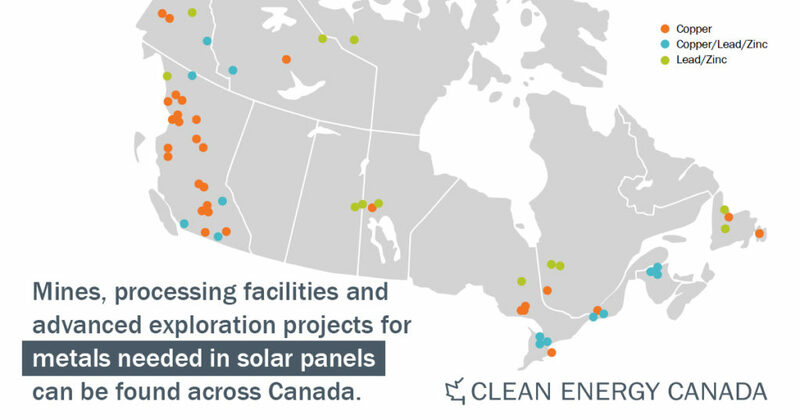 Canada is home to 14 of the 19 metals and minerals needed for solar panels. 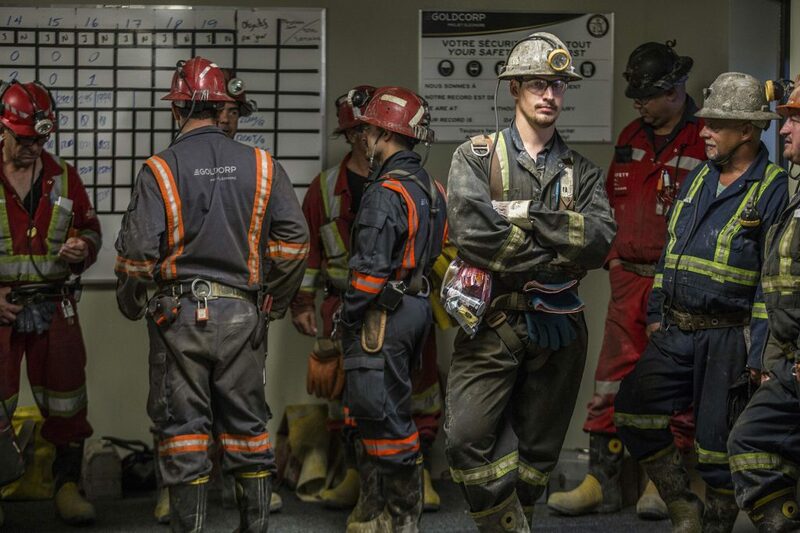 But tapping into this opportunity will require a more responsible approach to mining—to prevent disasters like at B.C.’s Mount Polley copper mine and to secure the confidence of Canadians. 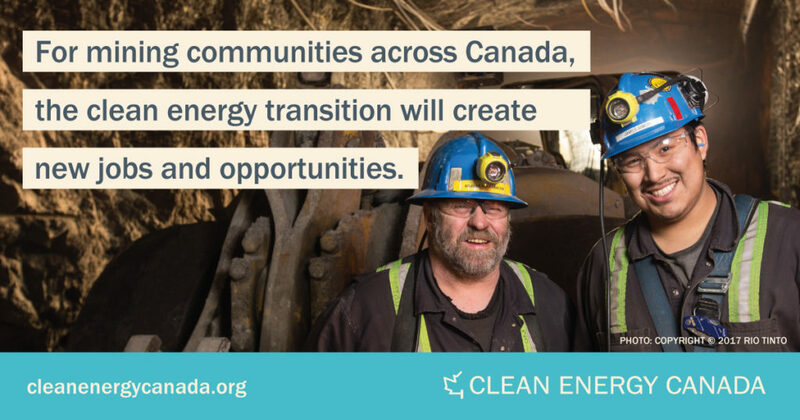 If done right, Canadian mines would be well-positioned to sell their products to an increasingly discerning clean energy marketplace, creating opportunities for economic development and revitalization in communities across Canada. 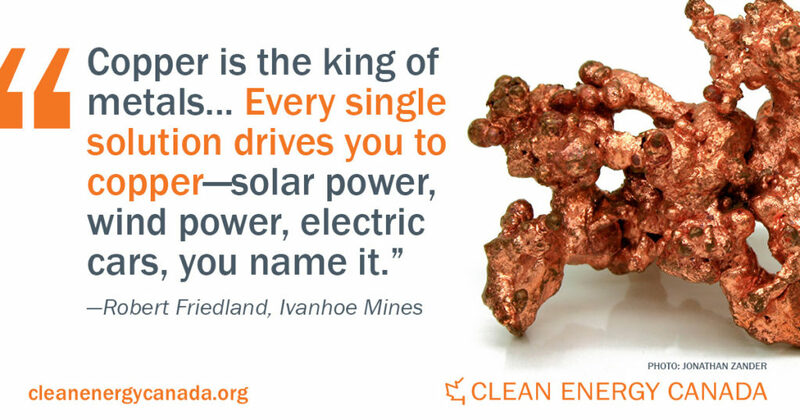 “People don’t naturally think of mining when they think of clean energy, but metals and minerals are key ingredients for solar panels, wind turbines and electric cars. 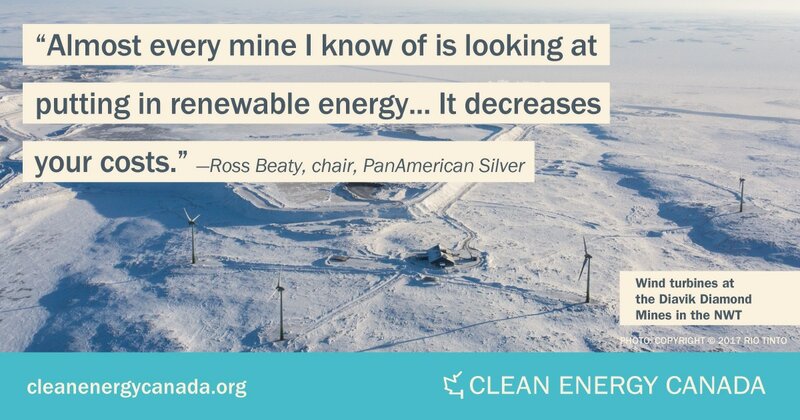 Canadian miners have an opportunity to play a key role in the global transition to clean energy. “A clean economy isn’t just about jobs at tech startups, manufacturing solar panels or building wind farms. 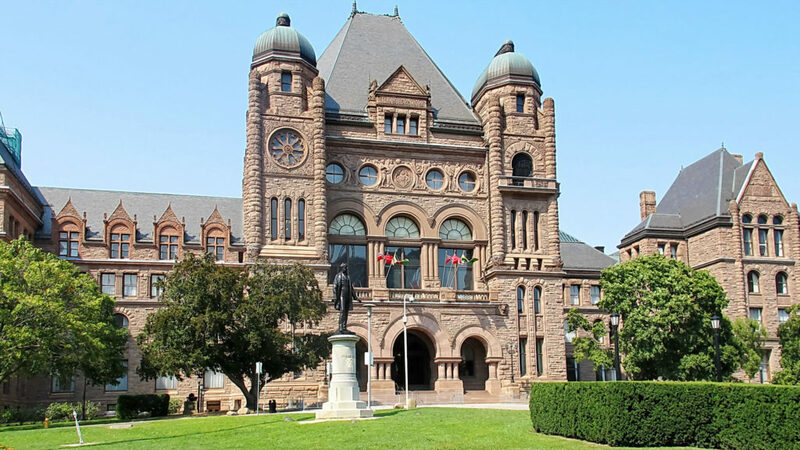 It will also require resource workers in small communities across Canada. 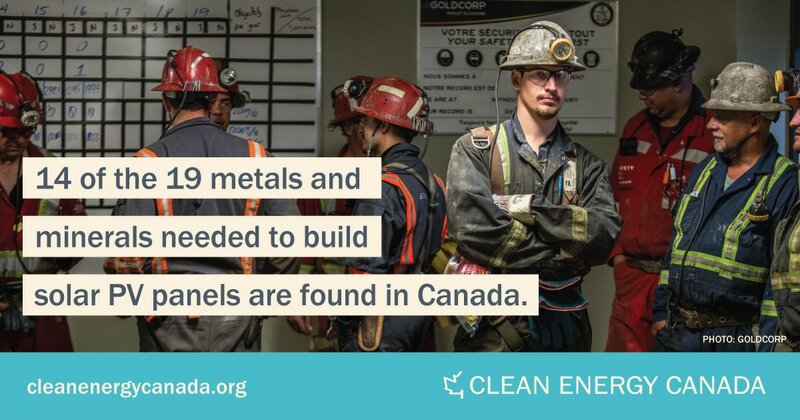 Canada is home to 14 of the 19 metals and minerals needed for solar panels—including copper, silver and tellurium—and could emerge as a key supplier of these resources. The use of solar power is projected to nearly double worldwide by 2021. 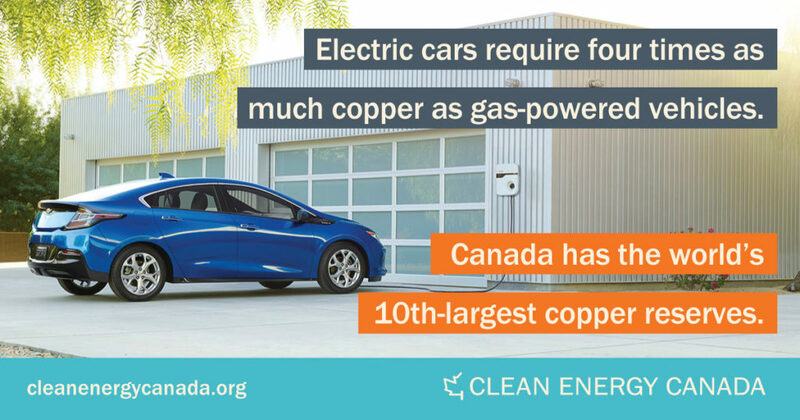 Copper is an essential ingredient in the clean energy transition, used in wind and solar technologies and electric cars (which require four times as much copper as internal combustion engines). The McKinsey Global Institute estimates that primary copper demand could potentially reach 31 million tonnes by 2035—a 43% increase over current demand. Canada has the world’s 10th-largest copper reserves, at 11-million tonnes, and was the world’s eighth-largest producer in 2016. Using lifecycle analysis, a study conducted by Environment Canada and Natural Resources Canada found that while all forms of electricity generation have environmental impacts, solar PV technologies have fewer negative environmental impacts than traditional fossil-fuel-based electricity production.